Enrollment opens November 1 and runs through Dec. 15 for individual health insurance plans subsidized through the Affordable Care Act. In the wake of a windstorm that knocked out power to more than 400,000 Mainers, federal officials have agreed to give Mainers more time to enroll for health care under the Affordable Care Act. U.S. Sen. Angus King sent a letter to the Centers for Medicare and Medicaid Services in November requesting an extended deadline for Mainers who spent the better part of a week in the dark without internet or computer access. On Friday, King shared the agency’s reply, which said Mainers likely would qualify for a special enrollment period, extending their enrollment deadline. “CMS recognizes that certain exceptional circumstances, including a natural disaster such as a severe windstorm, can prevent an individual from enrolling in coverage before an open enrollment period expires,” CMS Administrator Seema Verma said in her reply to King. 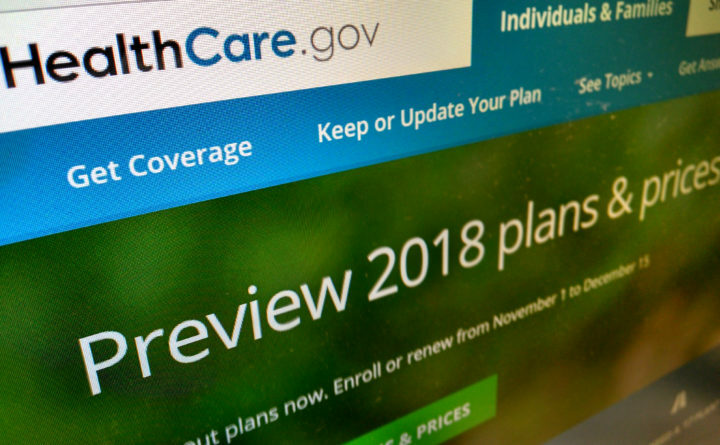 Friday was the last day of open enrollment for health care in 2018. Verma didn’t say how much longer Mainers might get to complete enrollment, or what conditions would qualify them for the special enrollment period. She directed Mainers who didn’t complete enrollment before the deadline to call the Marketplace Call Center at 1-800-318-2596 and explain their situation. Open enrollment had previously been cut in half, to six weeks from 12, and the website wasn’t operating for hours at a time during several weekends in that stretch, according to King. The late-October windstorm battered Maine with heavy rain and strong wind gusts, knocking down trees, shutting down roads and cutting off power across the state. Utility crews had to be brought in from out of state to repair the extensive infrastructure damage. “CMS is committed to providing help and support to the areas and individuals impacted by this storm,” Verma said in her letter. More information on special enrollment periods is available at www.healthcare.gov/sep-list.